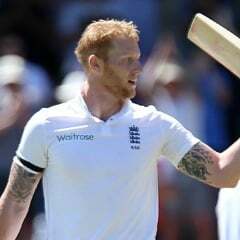 Sport 24 – Leeds – England will have no qualms about selecting Ben Stokes for next month’s first Test against India, even though the match could finish just a day before the all-rounder’s trial for affray begins. Leeds – England will have no qualms about selecting Ben Stokes for next month’s first Test against India, even though the match could finish just a day before the all-rounder’s trial for affray begins. Given the trial is expected to last between five to seven days, Stokes, a dynamic middle-order batsman and lively seamer who is also one of England’s best fielders, could well miss the second Test of a five-match series that starts at Lord’s on August 9. But Joe Root, England’s Test captain, had no doubt about Stokes being in the right frame of mind to play at Edgbaston despite a looming court appearance. Star batsman Root scored exactly 100 not out on his Yorkshire home ground, his second successive century after his unbeaten 113 during England’s 86-run series-levelling win at Lord’s. His latest hundred saw Root become England’s outright most prolific century-maker in ODI cricket, with 13 hundreds from 110 innings at this level, surpassing by one the record he had shared previously with Marcus Trescothick.